Simply put, online video is king. Having an online video that is both snappy and engaging is key to appeal to your audience. With many online social platforms optimising for video marketing content, ensuring you're not missed in the news feed is important.  At Márla Communications, we create bespoke videos tailored for your business and on brand with your business. They create an overall sense of engagement that otherwise can be lost in traditional media or text based posts. Find out how we can help your business engage with your customer through motion graphics and video marketing! Promotional video for Hodgins Sausages emphasising the emotional association between family and good food. We developed a duo of motion adverts to promote the seaside town of Tramore, Co. Waterford. Kerrigan’s sub brand “Foods for Fitness” have a reputation of being top of the range in online butchery for fitness. Life kitchen required a video that not only told how their product works, but told it in a fun and to the point way. Hodgins Recipe - Hot and Spicy Sausage Melt. Instagram focussed. Portobello Institute required a motion advert that conveyed the benefits of enrolling into one of their courses. Introductory video for Hodgins Irish Low Fat Sausages. A motion advert we created for Kerrigans Butchers which demonstrates how their latest nationwide delivery service offering works. This was a short video we developed showing the health benefits of beef. It showed the salt, protein and macro benefits. The second video showcased a bespoke illustrated map we developed for Tramore. We then made it into a short but informative motion advert. We wanted each motivational video to be fun but informative and also short and to the point! A short introduction to how we approach motion based infographics. Short video to introduce Sienna Home Furnishings annual Winter Sale on social media. A short animated feature we developed for our company digital Christmas card.